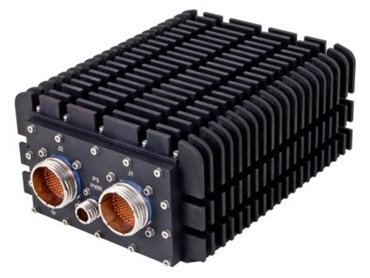 GE Intelligent Platforms introduces a new family of rugged, off-the-shelf systems designed to reduce the cost and time-to-market of developing solutions for military applications. The new preconfigured COTS rugged systems combine the flexibility of custom solutions with short lead time and lower development costs for a range of military vehicle platforms including UAVs, manned and unmanned ground vehicles as well as launch vehicles. The CRS-C2P-3CC1 and CRS-C3P-3CB1 COTS systems are 2-slot and 3-slot pre-validated, application-ready CompactPCI-based computer systems, available in a wide range of application-specific configurations that can be delivered in a rugged, convection- or base plate-cooled 3U chassis. These computers are supplied with a Freescale-based single board computer as well as VxWorks real-time operating system and feature I/O capabilities including Ethernet, serial, USB, MIL-STD-1553 and ARINC 429 in addition to discrete I/O. According to Paul Scanlon, General Manager, Military & Aerospace Systems, GE Intelligent Platforms, the two boxes are just the first of GE’s COTS rugged systems with similar systems based on OpenVPX scheduled for release in the coming months. Mr Scanlon comments that customers are increasingly looking for off-the-shelf solutions that are readily available, requiring minimal effort and expense to deploy with budgets constrained more than ever before. The CRS-C2P-3CC1 and CRS-C3P-3CB1 COTS rugged systems integrate GE Intelligent Platforms boards and mod­ules, drawn from GE’s wide selection of COTS boards into open modular systems that are tested and qualified for rugged systems deployment. The COTS rugged systems are configured with single board computers featuring a Freescale MPC7448 processor operating at 1.4GHz, together with 512Mbytes of RAM and 256MB of Flash memory. The CRS-C2P-3CC1 measures 3.96” H x 7.15” W x 9.03” D (excluding connectors) and weighs only 11 pounds while the CRS-C3P-3CB1 has dimensions of 5.60” H x 4.25” W x 8.76” D (excluding connectors) and weighs only 9 pounds.